Welcome to the 2015 Financial Literacy Awareness Carnival. It is my great honor and privilege to host this celebration of financial literacy. As someone with great passion around the subject, it always saddens me to see how many people are financially illiterate. It affects all people, regardless of education or the size of their nest egg. They don’t how to use their money joyfully and their lack of knowledge prevents them from making confident decisions. The worst part is many don’t even realize it. Many of their problems, even those that don’t appear finance-related, could be solved by getting Financially Real. Let’s get real: Life is messy, complicated, emotional and amazing. As a Certified Financial Planner (CFP®), I’ve been in the trenches with people for 23 years as life happens to them, helping them make the best decisions possible. It’s not always easy to do, especially if your money controls you, rather than you controlling it. Financially Real people own their financial lives, every single day, regardless of what the day brings. Learn more about the The 4 Pillars of Financially Real and how they can help you find money happiness. There are many reasons that hold people back from confronting their financial truths and getting real. Many times fear is what hold them back. The fear that their problems are too big and unsolvable. Or the fear that they can never achieve their dreams. For others, they may feel overwhelmed before they even begin. 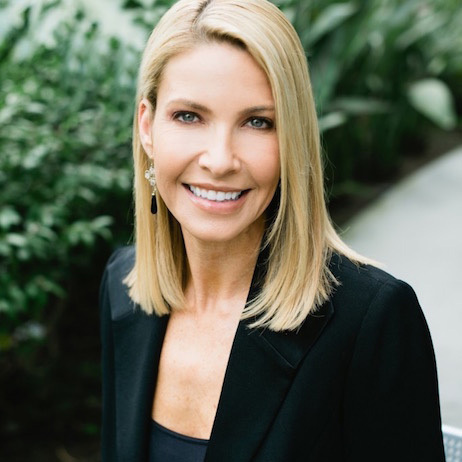 Because I know that starting is sometimes the greatest obstacle we face to reclaiming our financial lives, I wanted to help inspire and motivate you to take that big step and get Financially Real today. I’ve invited my friends to help me celebrate Financial Literacy Awareness Month by sharing their personal stories on how they got Financially Real, whether it’s the moment they realized they needed to make a change, the mistakes they made along the way or tips to help you be successful. We are Financially Real. Are you? Disease Called Debt: When We Finally Paid Our Finances a Little R.E.S.P.E.C.T. Enemy of Debt: Are You Lying to Yourself about Your Finances? Million Dollar Ninja: Why I Got Financially Real? The Broke and Beautiful Life: Is It Time for Financial Reality Check? Thank you to all the participants for creating awareness around financial literacy. Your continued support makes a big difference. Thank you. I read these blogs every day and highly recommend them. Be sure to subscribe to their feeds and follow them on your favorite social media channels. You want them in your community. It’s my hope that their stories will inspire you to join us and become Financially Real. Grab a coffee or your beverage of choice and happy reading! Thanks for hosting this Shannon and drawing attention to how we all need to get serious about our money. I agree with what you say about fear holding people back. I can see it in their eyes during the first few weeks of the Financial Peace Univ. classes I lead. But once they start working through the process and realize there is hope, that fear starts to wane. All it takes most of the time is a little education for people to see how they can turn the page...which is what Financial Literacy Awareness is all about. Thanks again for your continued support and participation, Brian. I truly appreciate it. Yes, fear can get such a stranglehold on people but once they start digging in and understand what they need to do that fear begins to fade and be replaced with hope and confidence. It is so exciting to see and I'm so glad you're helping people get Financially Real. Very impressive Shannon. You have so many participants. This is really making much literacy awareness that can result in positive results. I think I have read almost half of the list. We have so many great blog writers. Congrats in advance. Thanks, Jayson. There are so many wonderful personal finance bloggers and I am always humbled by their willingness to participate and share their knowledge. Every article I write I write with this in mind...how to communicate how to get real once and for all with your money and finances. I got real when I got the foreclosure notice on my home. I paid off almost 80K in less than three years and I've never looked back. I look forward to reading some of these articles. Sometimes we need something significant and scary to motivate us to get real. It sounds like you did, Maureen, and have made huge strides with your life. Enjoy the posts; they are all fantastic! Thanks for including Young Adult Money in this awesome roundup! Writing about being "financially real" forced me to think about what it really takes to have an understanding of my finances as well as how to best use that to reach my goals. You're welcome, DC! And thank you for continued participation and support. I truly appreciate it! Getting Financially Real has such a tremendous benefit and payoff and I'm glad even as knowledgeable as you are that it still made you dig a bit deeper into your situation and goals. Thank you for putting the carnival together Shannon! You're welcome, Pauline! Thank you again for your continued support and participation! Thank you so much for including me, Shannon. 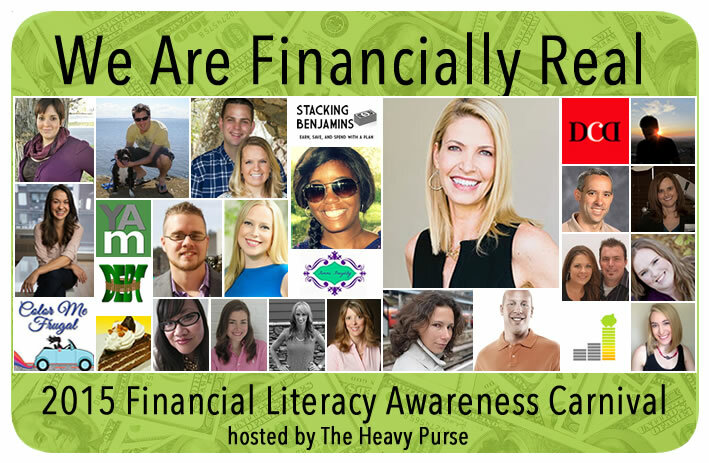 I think this awareness and focus on financial literacy is what it's all about from a personal finance blogger's perspective. You've put in the time, effort, and expertise to make it something special to look forward to every year. No doubt your readers feel the same. You're very welcome, Natalie! Thank you for your participation and your very kind words. I hope that the readers are as inspired by all of your stories as I am! Thank you SO much for organizing this again Shannon!! I have read every post here and I loved learning about everyone's journey to become financially real. Thank YOU for your continued support and participation, Shannon! I truly appreciate it! Like you, I loved learning everyone's stories and hope they inspire readers to take action and get Financially Real too. Thanks for inviting me to participate. I think it's very important that more people are awareness of their personal finances. It does seem that more people are taking control of their finances...hope that trend continues. You're welcome, Andrew. Thank you for your participation! I certainly hope the trend continues because there is nothing more powerful than reclaiming your financial life. Thanks for putting this together, Shannon. And thanks for including me! You're welcome, Aldo! Thank you for your participation and support; I appreciate it! This is one of my favorite topics thus far! I am excited to be participating in this carnival and can't wait to read all the other stories. Here is to getting real! Thanks, Erin! I love the topic too and I'm glad you did as well. Thank you for your continued support and participation. I appreciate it! Thanks, Michelle! There are all great posts and I hope you enjoy them! Thanks for hosting. I'm so happy to be included! Thank you for your continued participation and support, Kim. I truly appreciate it! Thanks, Hayley! I appreciate your continued support and participation! It is such an important message and I am always honored by everyone coming together to help increase awareness. What an amazing list!! Going to check some out now! Wonderful, Catherine! They are all great posts. :) Enjoy! Thanks for putting this together Shannon! I really enjoyed reading everyone's posts today. Very motivating and inspiring and hopefully people outside our little PF community will think so too! Thanks, Tonya! It's my hope too that this will hope motivate our collective readers to get Financially Real and reclaim their financial power too. Awesome list! Thanks so much for inviting me to be a part of this great event again this year Shannon! Thanks, Dee! I appreciate your support and continued participation too! You're welcome, Holly! Thanks to both you and Greg for your continued support and participation. I truly appreciate it! This is my favorite part of the personal financial blogging community...open discussions about money. I love taking part in open discussions about money management, financial insecurity, tackling investing issues....it's really neat to see people open up and have the same types of talks most people would never dream of having. An open discussion is the only way to better financial success for all of us. I agree wholeheartedly, Joe. Open discussion is so important. Because so many think of money as taboo topic, we keep silent on both our knowledge and mistakes, missing opportunities to educate and share. It's my hope through the carnival that readers understand that they are not alone and are inspired through our stories to take back their financial lives. Thank you for your continued support and participation, Joe. I truly appreciate it!